Create statement necklaces, bracelets & more! 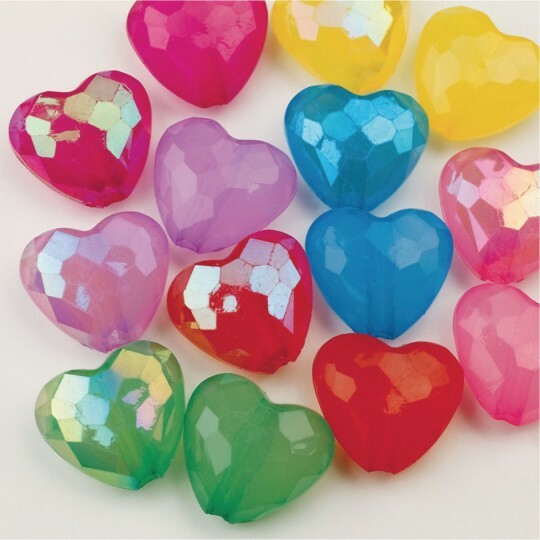 Heart-shaped chunky acrylic beads with facets. Add other chunky beads - WOW up wearables! 1/2-lb. bag, approx. 110 pieces. Make funky, chunky jewelry! 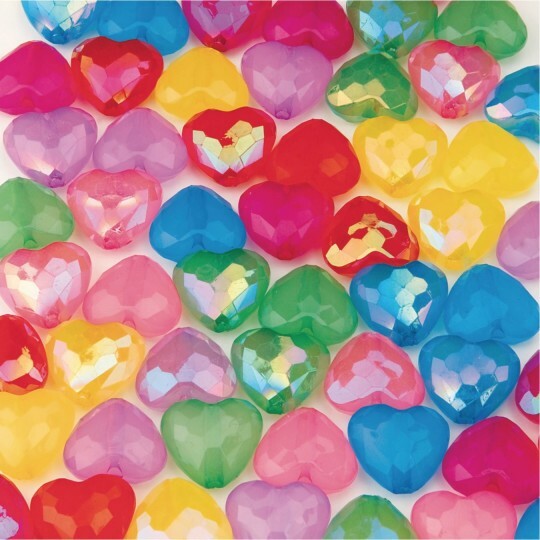 Create your own cool statement necklaces, bracelets and more with chunky acrylic heart beads with facets. Add to our other chunky beads BE1280 and BE1282 to add even more WOW to your wearables. Mixed color assortment of luster and non-luster finish beads. 1/2-lb. bag, approx. 110 pieces. 3/4" x 3/4" x 3/8" thick with small hole for stringing. These are nice but a little bigger then I was expecting. They may be to big for my intended purpose. They will work great with my grandchildren who love to make jewelry with me. Nice colors and who can go wrong with hearts.